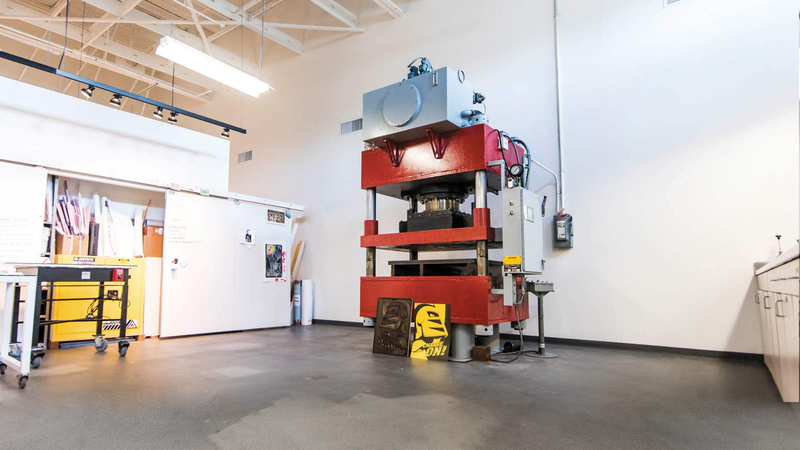 Lurking in the corner at UCF’s Flying Horse Editions printmaking studio is a hulking hydraulic press that seems more at home in a gritty factory. In fact, it could easily be mistaken for a sculpture among the fine art that adorns the austere, white-walled workspace. 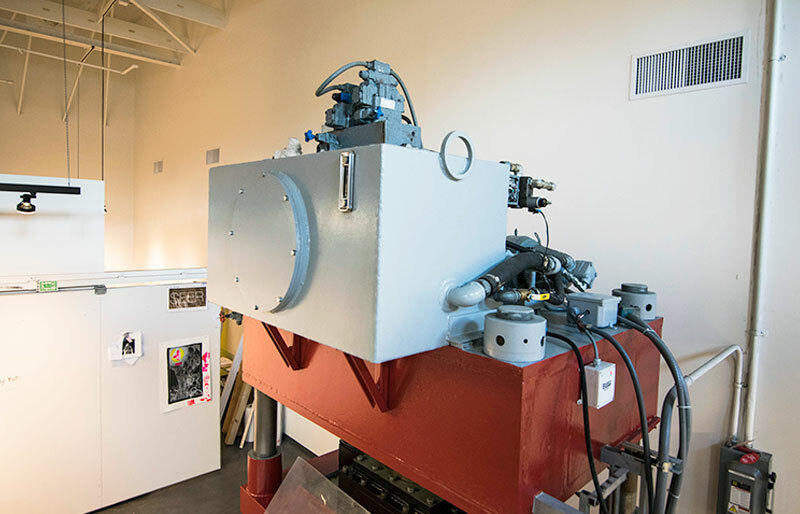 But the industrial machine is an important — and highly sought-after — tool for the rotating roster of international artists who come to the collaborative research workshop in downtown Orlando. 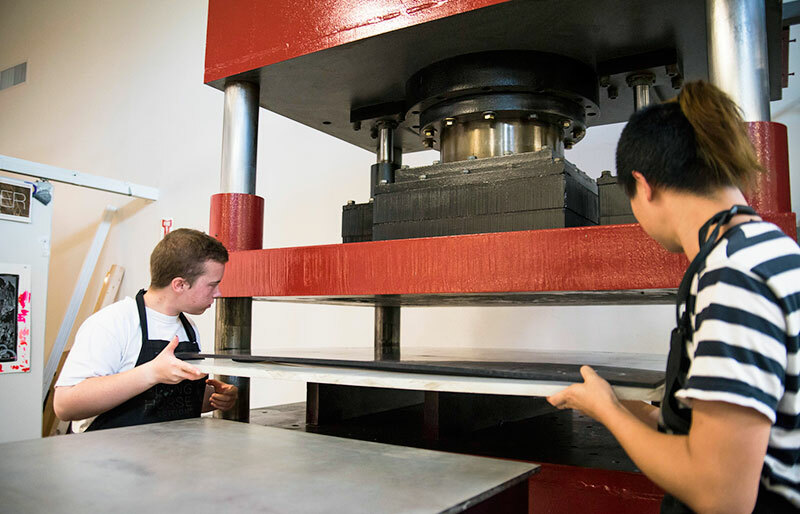 Traditional presses, which use a traveling bed to apply a single color of ink, can be difficult to control and can create a blurry image with some kinds of printing processes. This press applies pressure straight down, enabling a more precise print with several blocks in multiple colors. “It can be a very fast and liberating way for an artist to work,” Lotz says. 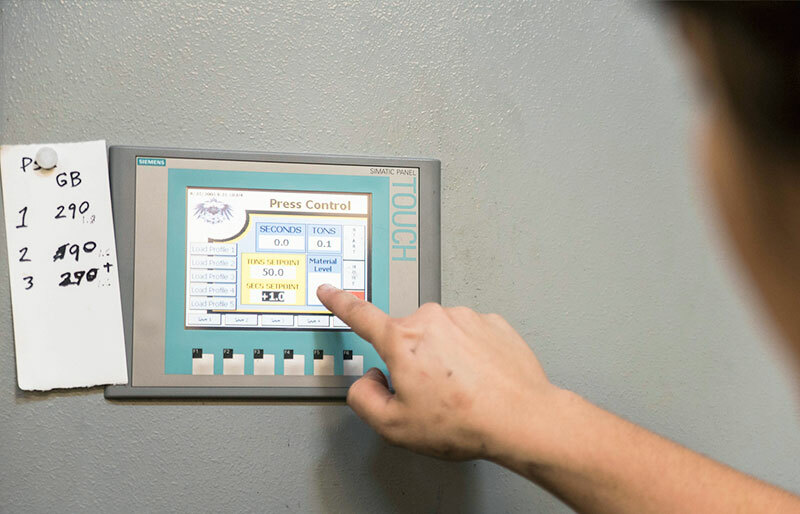 Because the fine art printing process requires greater fine-tuning than the machine was originally designed for, Siemens offered to “trick out” the controls and donated a sophisticated electronic system valued at around $15,000. “We can set it so precisely now that we can print something onto an egg,” Lotz says. 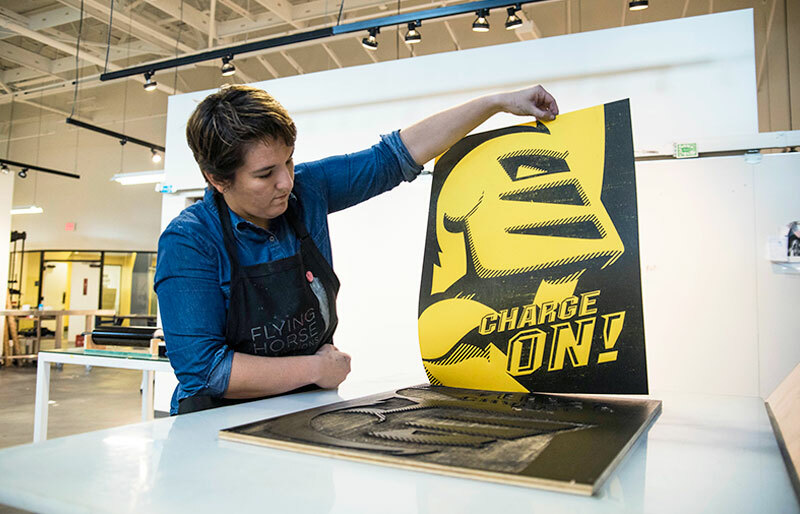 Artists typically use a woodcut, which can be created by hand or with a laser cutter, to hold the ink to create a print. 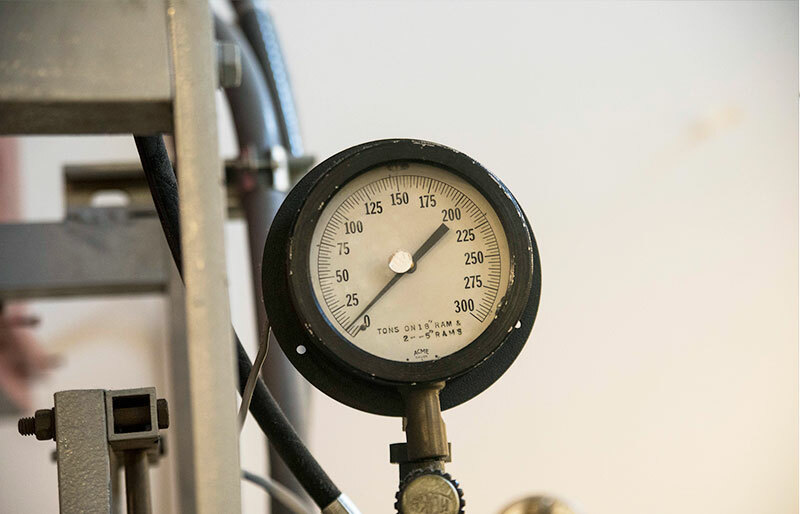 However, some artists have been inspired by the machine’s crushing capabilities and are using nontraditional materials, including Rolex watches. “Since this isn’t a familiar piece of art-making equipment, artists are intrigued with what they can do with it,” Lotz says.